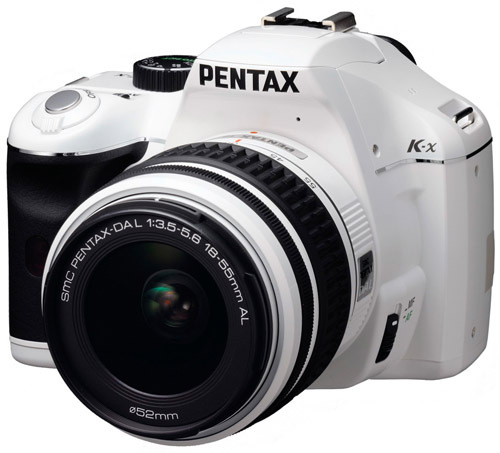 A small range, high-quality, high-aperture zoom. One of the advantages where ultrazooms seemed to gain the leg-up on large aperture zooms was in the image stabilization department, where nearly every single ultrazoom lens does, but up until recently only one large aperture crop lens (Canon’s $1000+ 17-55mm f/2.8 IS) did. 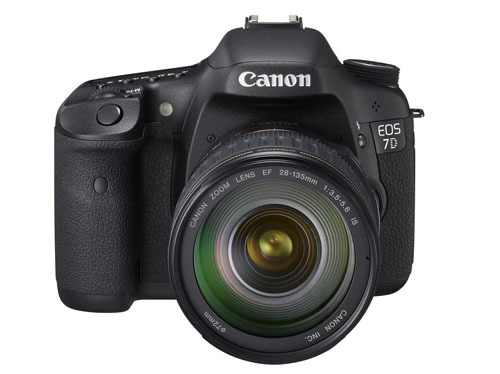 That left just one (very expensive) option for Canon users, and Nikon users completely out in the cold (they pay $1300 for a 17-55 f/2.8 without VR). 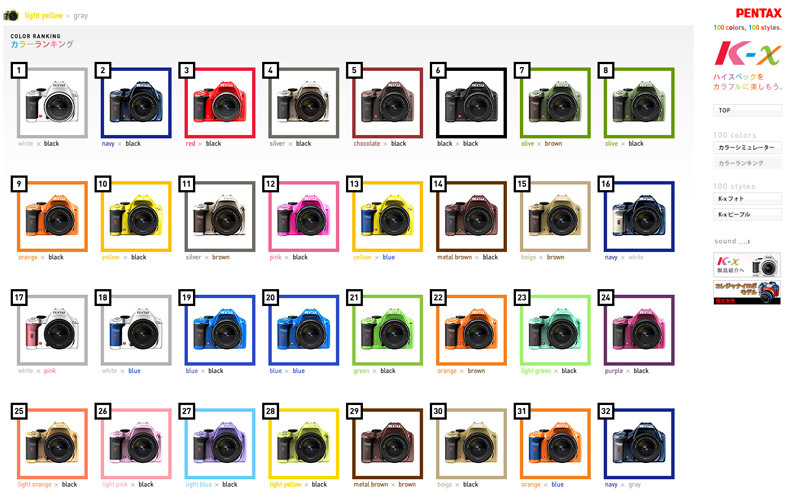 Third party manufacturers, have as always had cheaper alternatives, such as Sigma’s 18-50mm f/2.8 and Tokina’s 16-50mm f/2.8, but all of these lacked any sort of stabilization as well. 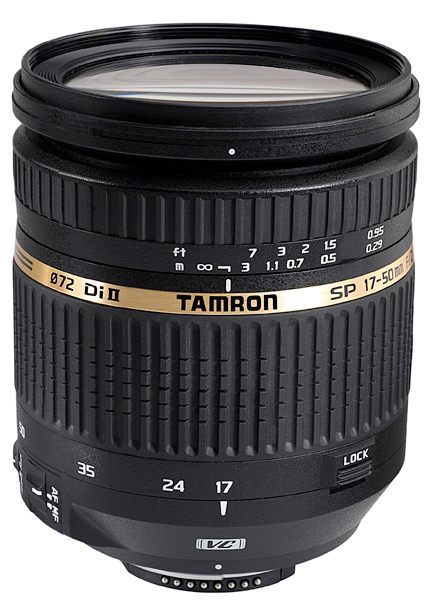 Now finally, Tamron has gone ahead and introduced their VC stabilization to their flagship crop standard zoom, the 17-50mm f/2.8 (or rather, Tamron SP AF 17-50mm f/2.8 XR Di II VC LD Aspherical [IF]), which finally delivers a large aperture, image-stabilized standard zoom for an affordable price ($650 currently). It’s only knock is that it doesn’t yet have the fast USM or SWM-based autofocus of the Canon or Nikon models, although it’s a feature I’ve long-regarded as over-rated for standard zooms for most people’s actions. 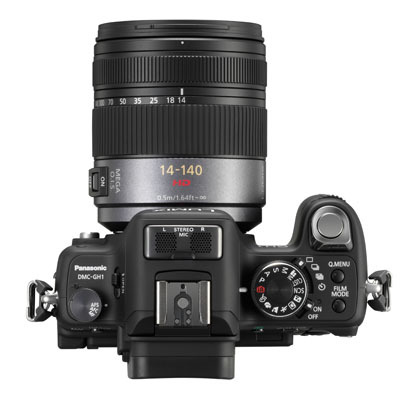 In what many see as the next big evolutionary step for digital cameras, Panasonic and Olympus made a bold move with their introduction of the Micro Four-Thirds system, an electronic viewfinder, interchangeable lens (so-called “EVIL”) system that eschewed the mirror assembly found in traditional SLR cameras and offering image preview via a live view feed only. 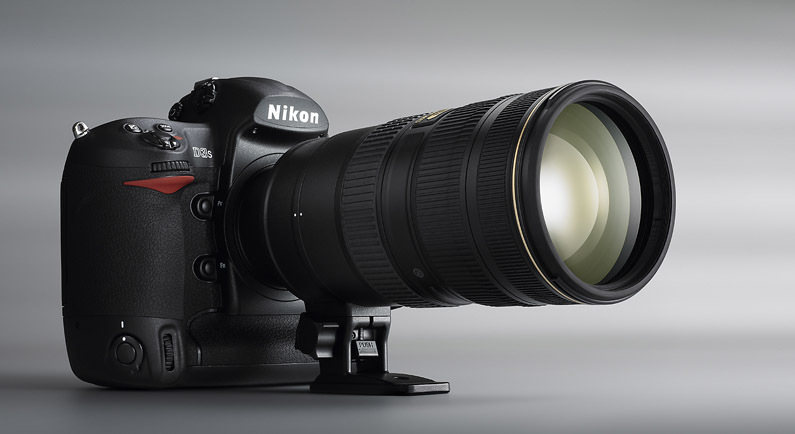 Aside from the numerous advantages associated purely with live view (and could technically be realized with a traditional DSLR – it’s just that forcing live view only is likely to spur much more rapid development), the one key advantage to Micro Four Thirds (and upcoming systems like it, such as Samsung’s NX system) is that the removal of the mirror assembly allows lenses to sit much closer to the image plane, making for much smaller camera bodies and lenses. 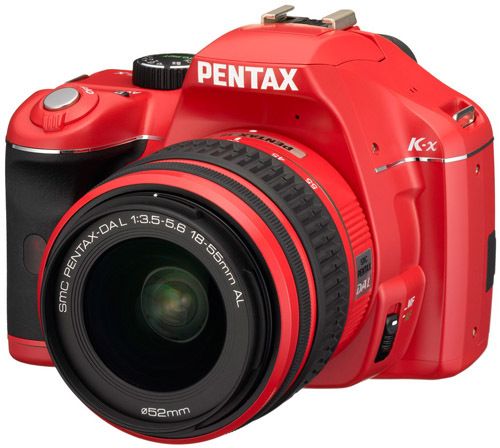 The first few of these cameras – the Panasonic G and GH1 – failed completely to live up to the small form factor potential – they were shaped much like traditional SLRs, albeit slightly smaller. Next, Olympus released a Micro Four Thirds of its own: the E-P1 “Pen” which harked back to Olympus’ historical line of compact film cameras. Unlike the G1, the E-P1 actually began to approach what some would call “compact” – it was just 1.4in thick, though that’s not taking into account the attached lens. 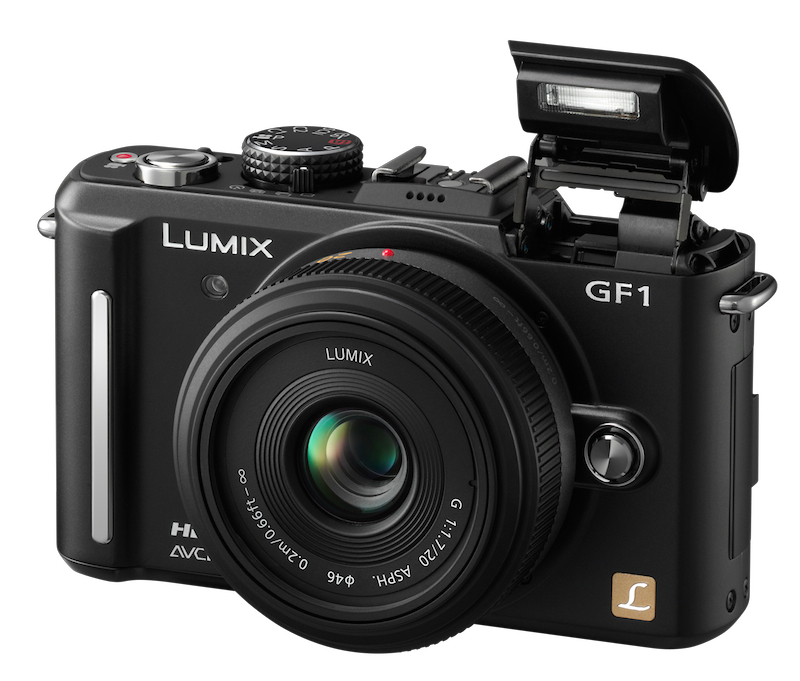 Now Panasonic is jumping in on the bandwagon with their E-P1-esque GF1, which sports a slim compact-like body. The specs are nothing to get excited about, though it does have the a built-in flash that was notably missing from the E-P1. 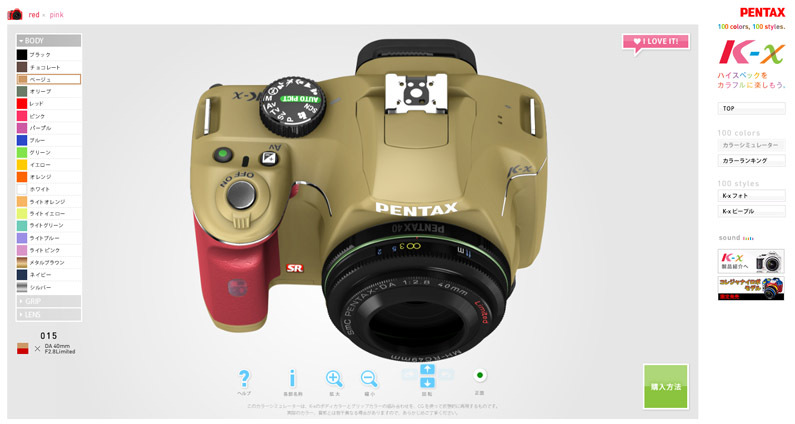 In a puzzling decision though, Panasonic decided not to implement any sensor-based image stabilization, relying on lens-based IS to counter camera shake. Unless they were denied a sensor IS license by Olympus (a possibility), I’d say this is a rather bone-headed decision, since any stabilized lenses will add weight unnecessarily (or in the case of pancake lenses that are pretty much made for this kind of camera, impossible to add in), defeating the entire purpose of Micro Four-Thirds. The two kit lenses offered with the GF1 are a bit more appealing than the E-P1 package: a standard 14-45mm OIS kit lens and a 20mm f/1.7 pancake prime. The prime still isn’t quite there to portrait range and gets even further away from all-around wide angle utility than Oly’s 17mm f/2.8 pancake, but it does offer a much larger f/1.7 aperture. If you’re in the market for this kind of camera though, the most sensible thing seems to be taking the E-P1 to get yourself sensor-based IS, and combining that with Panny’s 17mm pancake prime. Though you will be losing out on the built-in flash, which is somewhat of a must-have for a camera like this (since again, needing to carry around a huge external flash defeats the size advantage).